This passage highlights aspects of the kingdom of God, which appear to be paradoxes. According to the Bible, there are two kingdoms that are growing simultaneously—the kingdom of God (heaven) and the kingdom of the world (darkness). See Matthew 13:24-30. · The kingdoms are parallel, requiring us to choose between the two. 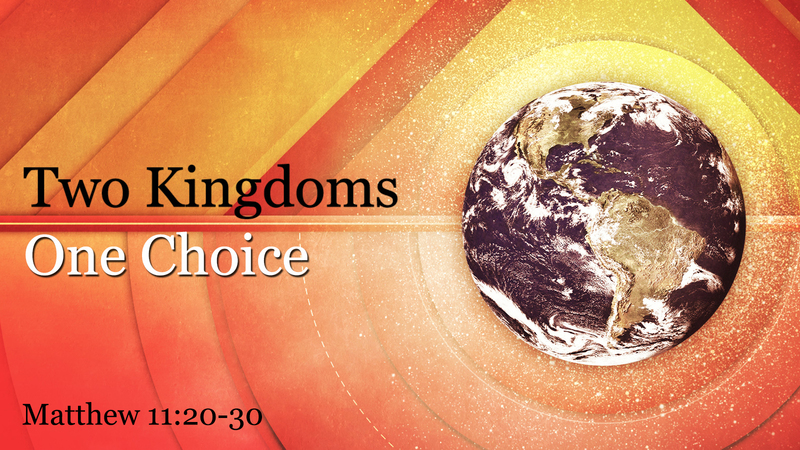 · The kingdoms are separate, but citizens of the kingdom of heaven can have a positive (gospel) influence on the world if we are purposeful to do, and the world can negatively (sinfully) influence Christians if we are not guarded and alert and submissive to the Holy Spirit. · The kingdom of God is not subsequent to the kingdom of the world. People are called to separate themselves from sin and darkness and enter into holiness and light through Jesus by faith and with repentance, the result of which is the presence of God and rest with him presently. · According to the Bible, there is only one way to enter the kingdom of God; it is through Jesus. · Anything built in the kingdom of the world is sin and darkness, even if it is done in the name of God and/or religion. Darkness cannot be made into light and sin cannot be made holy. Light overcomes darkness and holiness is separated from sin. · God specifically reveals himself to people in the kingdom of the world through Jesus Christ, his son. The revelation of God moves people to faith in Christ and repentance from sin and life as the world lives. This revelation was rejected by Chorazin, Bethsaida and Capernaum, bringing God’s judgment upon them. · The ruler of the kingdom of darkness offers counterfeits to the kingdom of God.